An animal welfare group says an elephant named Happy who has lived alone since her mate was fatally injured is being "unlawfully imprisoned" by the Bronx Zoo. Rana Novini reports. An elephant named Happy who has lived mostly alone since her mate was fatally injured is being "unlawfully imprisoned" by a New York City zoo, according a legal petition filed Tuesday. 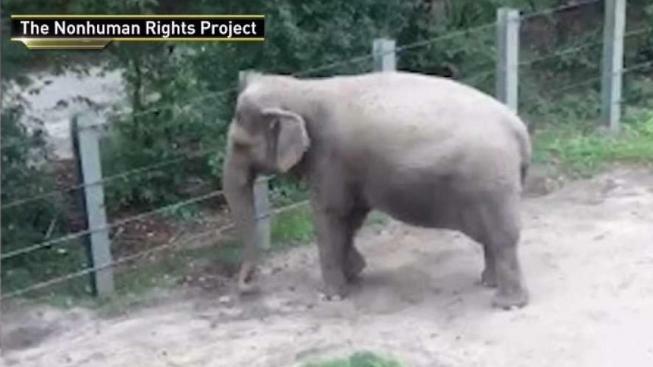 The Nonhuman Rights Project argued Happy, who has lived at the Bronx Zoo since 1977, has similar rights to a human being and should be relocated to a larger private sanctuary where she can socialize with other elephants and roam more freely. "Our world-class experts say that, like all elephants, Happy is an autonomous being who evolved to walk 20 or more miles a day as a member of a multi-generational large social group," said Nonhuman Rights Project founder Steven Wise. "The entirety of the zoo's elephant exhibit provides far less than even 1 percent of the space she would roam in a single day in the wild." The Nonhuman Rights Project filed its court petition in Orleans County because judges downstate have rejected previous lawsuits arguing that animals have similar legal rights as people. "The Nonhuman Rights Project is exploiting the Bronx Zoo elephants to advance their own failing cause in the courts as they put forth ludicrous legal arguments and lies about our elephants, facilities and staff," said Bronx Zoo Director Jim Breheny. Elephants are social animals, and for 25 years, Happy had been paired with another elephant named Grumpy. But in 2002, Grumpy was fatally injured in a confrontation with two other elephants at the zoo, Maxine and Patty. Happy was then paired with a new friend, Sammy, who died in 2006. 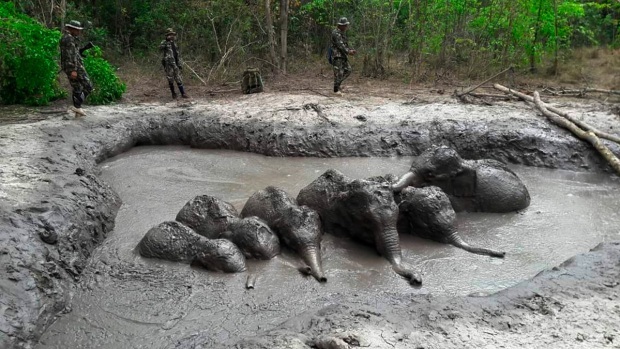 After that, the Wildlife Conservation Society said it would no longer acquire new elephants. Since then, Happy has been without a partner, and kept apart from Maxine and Patty due to concerns they won't get along. Breheny said Happy doesn't share the same holding pens as the other elephants, but that she is in "tactile and auditory contact with them" and spends several hours a day interacting with keepers, according to a statement posted on the zoo's website in 2016. "Happy is healthy and comfortable in the home she has known for nearly four decades. Our animal care professionals say she exhibits no signs of physiological or psychological stress with virtually no stereotypical behavior. We don't think moving Happy from familiar surroundings and the people to whom she is bonded is in her best interest," he wrote.